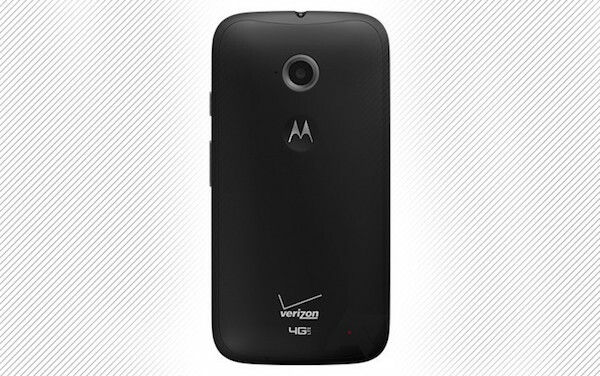 Motorola Moto E (2015) could be the next smartphone of the house winged, coming perhaps as early as tomorrow, the day that will be unveiled a mysterious product .Today we show a new render depicting the back of the device, in a version for the American telephone operator Verizon. The leak also confirms the accuracy of the previous render and especially the presence of connectivity LTE smartphone, with which Motorola wants to offer the maximum speed at a price below $100. A smartphone so interesting, especially if launched at an affordable price: the appointment is for tomorrow, although it is not certain that the mysterious product that Motorola will unveil both this phone.